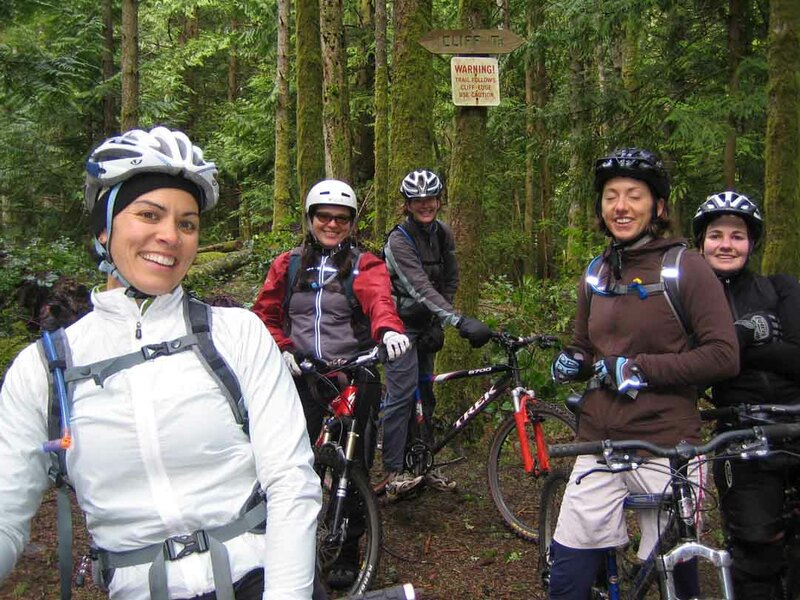 The snow has melted, the trails are awesome, the sun is shining later into the evenings… Tune up your bike & get ready to join the UROC Women’s Rides. The main ride (complete with ride leaders) will meet at 5:30 PM at The Riding Fool Hostel in Cumberland, beginning Wednesday, April 2. There is also a peer-group intermediate ride meeting at 6:00 PM – this one has no ride leader, and lights are required. Later in the season as the days get longer all rides will meet at 6. Can you Lead a Ride? If you know the trails and love to ride, be a Ride Leader!! You don’t have to commit to every week – even a few per season helps spread the love of mountain biking. You don’t have to be an expert rider – rides are non-instructional. You just have to offer encouragement, carry a first-aid kit, and make sure no-one gets lost! You don’t have to “lead” by riding in front of the group, or offering sage wisdom (optional)… just be a part of the crew & have fun! Contact Barbara Milley at bplusb@telus.net if you are interested. Hope to see you all Wednesday, April 2nd! !